Hollins Holme host Elland Sports in the Halifax Sunday League this weekend and cannot afford to have half an eye on a big game elsewhere. Second-placed Hollins should have bright prospects of three points against their seventh-placed visitors. And that could be enough to move them level on points with Lee Mount, who they were due to meet last Sunday until the weather intervened. Lee Mount are away to unbeaten Carrington, who have only played six games so far, in a key game in what looks a five-horse title race. At the other end of the table, next-to-bottom Feathers face the team just above them, Old Pond at White Lee Rec, Mytholmroyd. Feathers lost 7-2 to Waiters Arms last weekend. Feathers’ Jordan Manning had to referee and did a superb job. Waiters led 2-0 before a Corey Henderson penalty got Feathers back in it. However, Waiters had moved well clear by the time Nick Caufield smashed Feathers’ second past ‘keeper Davey Dodds. In Division Two, Royd Club play Triangle at Brearley Playing Fields. 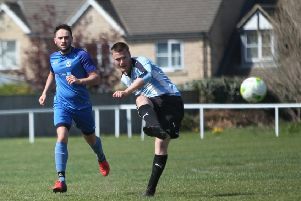 Royd did see some action last Sunday but their game away to high-flying Ryburn United is not one they will want to remember. Club were 8-1 down at half-time but avoided total embarrassment with a much better display in the second period, losing 9-2. Lewis ‘Bub’ Cockroft - who plays for Hebden Royd Red Star on a Saturday - bagged a hat-trick for the winners.